Most automatic gates come as standard with hand held remote controls, These will allow you to operate your gate from within 20 -100 meters depending on site conditions and the type of receiver. Usually there are two choices of operation for your remote control. 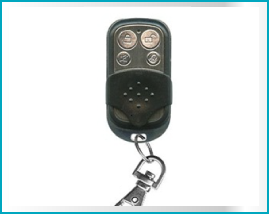 Press the handheld transmitter button once to open your gate and again to close it or Press the handheld transmitter button once the gate will open and then automatically close after a preset time. We are able to find replacement remote controls for most manufacturers if you need to add more to your existing system. Or we can supply and install a separate receiver and provide you with new remotes if required. A preferred choice for a lot of people that are not wanting to keep everyone out. A simple push button can be used for entry and or exit. 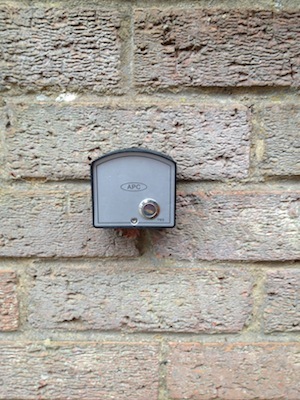 You can choose to have the push button so it opens your gates fully or only partially allowing for pedestrian access ie the postman, paperboy etc. Having a pedestrian option will stop vehicles entering but still allow convenient access for deliveries and visitors etc. You can restrict the operating times of the push button with a timer thus giving you piece of mind that no one is going to turn up by surprise after certain hours. Simply issue the number to the people you wish to allow acces to. You can change the access codes as often as you like to keep your entrance secure. There is a huge choice when it comes down to intercoms so whatever your requirement is we should have the answer. 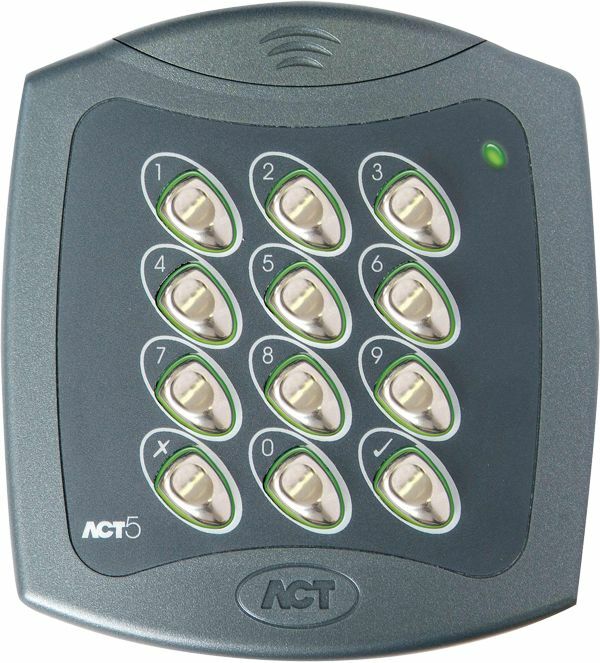 All intercoms will give you two way audio communication and the facility to open your gate. If the property is reasonably close to the gateway or there is a neat and tidy way of getting cables back to the propert you can have a wired AUDIO or AUDIO and VIDEO intercom, this would mean that the handset video monitior inside the property would be in a fixed location although it is possible to have more than 1 unit. We can also install a telephone adaptor which would utilize your landline and existing phones. 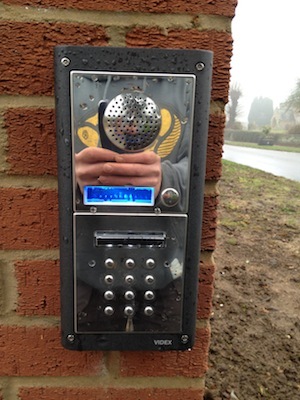 If the property is within 300m dependant on site conditions we can install a wireless audio intercom. GSM Intercoms are a unit at the gate which has a sim card just like a mobile phone, when the button is pressed the gate intercom will telephone you on up to 4 numbers until it gets answered giving you the ability to open your gate from anywhere in the world, these can also be used as remote controls so you can phone your gate from anywhere and open it from your phone, we can even use these on Solar power gate systems. If you want your gate to open as you approach this is possible either by using a Induction loop and detector buried in the road surface which detects masses of moving metal therefore opening your gate as a car goes over it. Or a infrared beam that when gets interrupted triggers the gate to open. We also have a unique product EXIT WAND which gets buried in the verge alongside the driveway and detects moving metal within a 12ft radius this is great for retrofitting to existing systems when all the ground work has been finished.